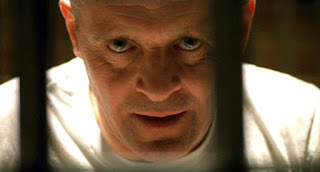 The Silence of the VIX? Strong earnings boosted U.S. stocks on Tuesday, driving the S&P 500 to a record high while also sending a popular options-based gauge of expected price volatility down to a more than 23-year low. The CBOE volatility index, better known as the VIX and the most widely followed barometer of expected near-term stock market volatility, fell to 9.04 intraday on Tuesday, its lowest since December, 1993, before rebounding to close at 9.43. The VIX is derived from the price of S&P 500 index options. A low VIX reading typically indicates a bullish outlook for stocks. The volatility index, whose long-term average level is around 20, has been extremely subdued this year as a surging stock market has chilled demand for options that provide protection against price declines, driving down the index itself. 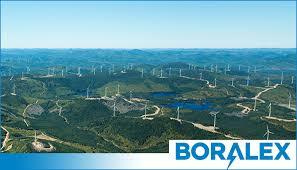 La Caisse's Big Stake in Wind Power? Boralex Inc. ("Boralex" or the "Company") (TSX: BLX) announced today that Caisse de dépôt et placement du Québec ("la Caisse") has acquired all of the Class A common shares of Boralex held by Cascades Inc. representing 17.3% of the outstanding shares for the amount of $287.5 million. As part of the transaction, the Company and la Caisse have agreed to explore partnership opportunities with respect to investing in future projects developed by Boralex that are in line with its growth strategy. 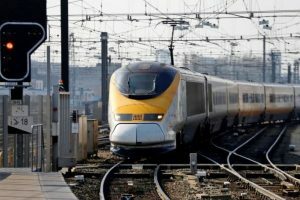 Two leading Canadian pension funds have agreed to sell their stakes in Britain’s High Speed 1 (HS1) rail project to a consortium of funds including HICL Infrastructure and South Korea’s National Pension Service. The deal valued HS1 at more than 3 billion pounds (US$3.9 billion), two sources said. British investor HICL Infrastructure said it would pay about 320 million pounds for its 30 percent stake, giving an indicative equity value of 915 million pounds. The South Korean pension fund would also take a 30 percent stake in the consortium, with Equitix Investment Management funds holding the remaining 35 percent. Infrastructure is an increasingly attractive asset class for investors looking for stable, long-term yields and the involvement of South Korea’s public pension plan reflects growing interest by Asian buyers in prime European assets. PSP Investments Moving Into Asia? Canada’s Public Sector Pension Investment Board is establishing a base in Asia to pursue deals in private debt and equity, real estate, and infrastructure, mirroring a strategy already deployed in London. 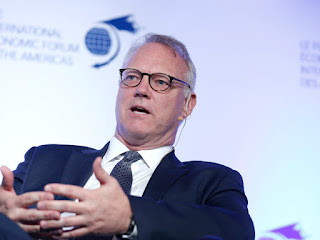 The office, to be located in either Hong Kong or Singapore, will complement a London hub that is to be expanded by as much as 50 per cent in spite of the looming prospect of Brexit, André Bourbonnais, chief executive of PSP Investments, told the Financial Post. “We’re looking very actively to have a presence either in Hong Kong or Singapore,” he said, adding that both the Asia base and the expansion of the London office to as many as 45 people will be in place by the end of the current fiscal year in March. HOOPP Warns of the Next Crisis? HOOPP is launching a series of articles to deepen the conversation around retirement security and to bring awareness around the benefits of defined benefit (DB) pension plans. 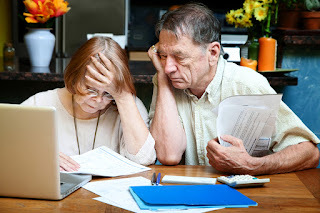 In the first article, we discuss how an increasing number of Canadians are heading into their senior years financially ill-equipped to adequately support themselves when their working lives end. A stark illustration of this has been set out in a slew of new statistics and studies that show poverty among seniors is on the rise once again after nearly two decades of decline. The British Columbia Investment Management Corporation (bcIMC) today announced an annual combined pension return, net of costs, of 12.4 per cent for the fiscal year ended March 31, 2017, versus a combined market benchmark of 11.7 per cent. This generated $680 million in added value for bcIMC's pension plan clients. Infrastructure, private equity, real estate, and renewable resources outperformed for the calendar (error: fiscal) year and delivered above-benchmark returns. Tactical decisions to underweight fixed income in favour of public equities provided value-added returns. A key contributor was the outperformance of global equities relative to their benchmark. In a low return environment for fixed income, the decision to underweight nominal bonds added value and was further enhanced by outperformance relative to the benchmark. Strong performance in illiquid asset investments also provided value-add. CalPERS Goes Canadian in Private Equity? 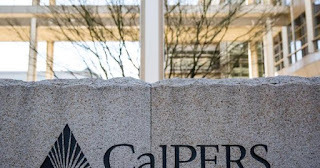 The California Public Employees' Retirement System (CalPERS) on Monday said it was considering making direct investments in private companies, a potential major shift in strategy that would be the first such action by a U.S. public pension fund. The change, discussed at a meeting of CalPERS board in Monterey, would be closely watched by other U.S. public pensions as they look to improve returns on their investments, in part by cutting fees. The $323 billion pension fund, the largest in the country and a trend setter, has been under increasing pressure to achieve returns closer to the fund's assumed rate of return of 7 percent by 2020. Pension Funds Displacing Private Equity? Are Macro Gods in Big Trouble? The End of the Central Banks' Era? US Pensions Threaten Real Estate?